We only have seven minutes, when you hear my whistle, the game will end! I ducked under a fallen tree and scanned the area for the other tributes, thinking if hiding was even a good idea. I enfolded myself some more and decided to bury myself under the thick foliage while holding on to my dear life, my untouched ribbons. 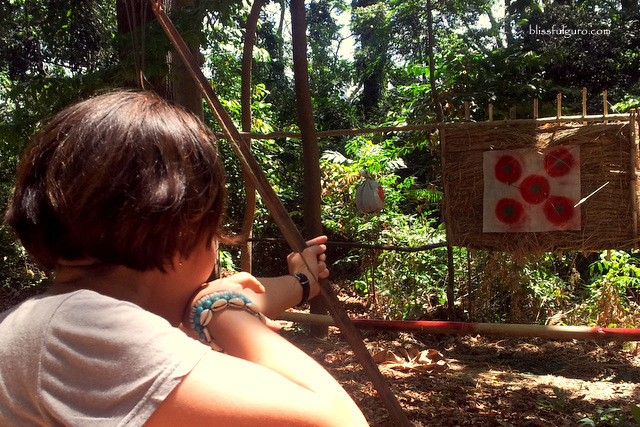 Welcome to the Hunger Games at JEST Camp Subic. 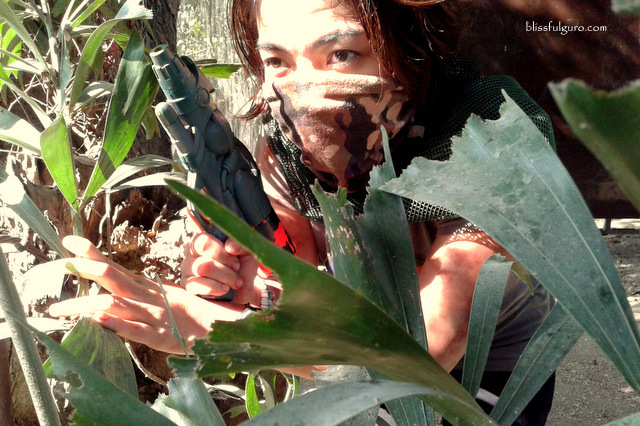 The punishing summer heat welcomed Team Red Horse as we entered the Jungle Environment Survival Training Camp (JEST Camp) at Subic Bay Freeport Zone. 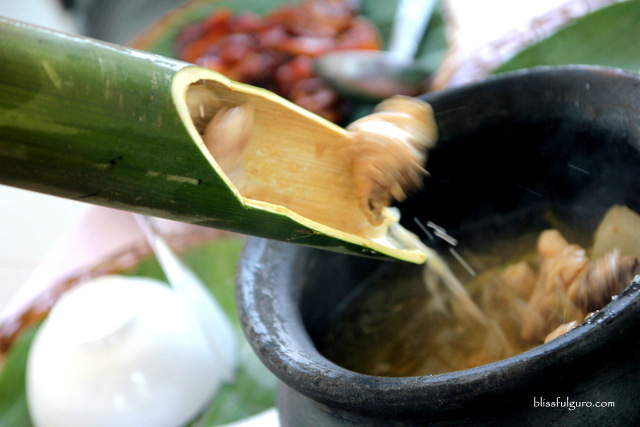 Our weekend will be packed with different activities around the camp and the next day we’ll all transform into some greedy, voracious tributes as we all engage in the Hunger Games. JEST Camp has been around for some time but this was my first ever visit (both my parents hailed from Zambales, shame on me). 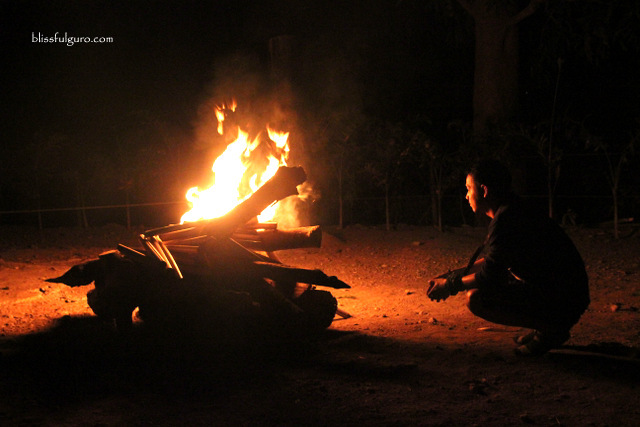 The idea of the camp is to reconnect its guests to the simplicity of life in the form of jungle survival techniques. In time, the camp has transformed into a mini adventure park that showcases different activities that will surely develop your sense of oneness with nature. First stop was a quick snack from Greenwich. 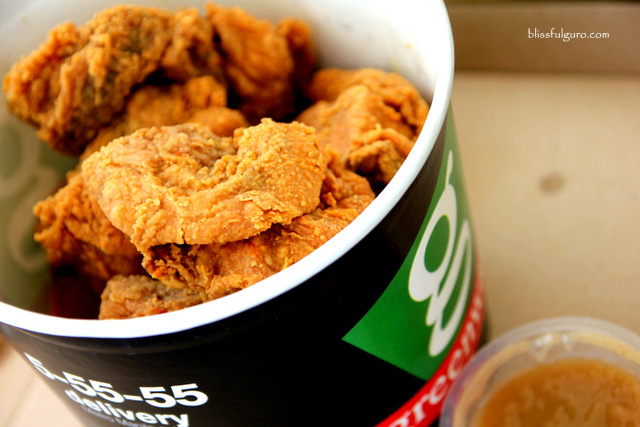 They have three branches in Olongapo City; Ulo ng Apo, SM Olongapo and Harbor Point – all are open for delivery service. 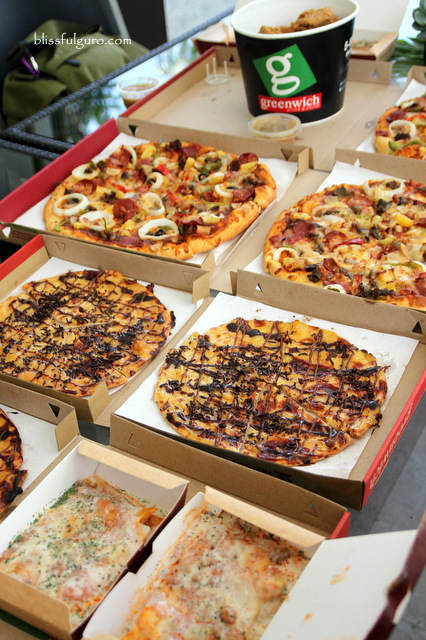 The group feasted on Greenwich’s new great stuff to combat summer heat; Ultimate Overload Pizza (Barkada size), Lasagna Supreme (Full size), Jumbo Crunchy Chicken (8-pc. Bucket), Choco Banana Crisp and Mango Pearl Coolers. The pizza, lasagna and chicken were the instant favorites. Nobody seemed to care about the desserts and coolers until I got to munch on it. And it was terrific. The perfect combination of the Choco Banana Crisp and Mango Pearl Coolers totally revitalized our tired and weary bods. You gotta try that combination. Moving on, we were led to a quick Survival 101 session. 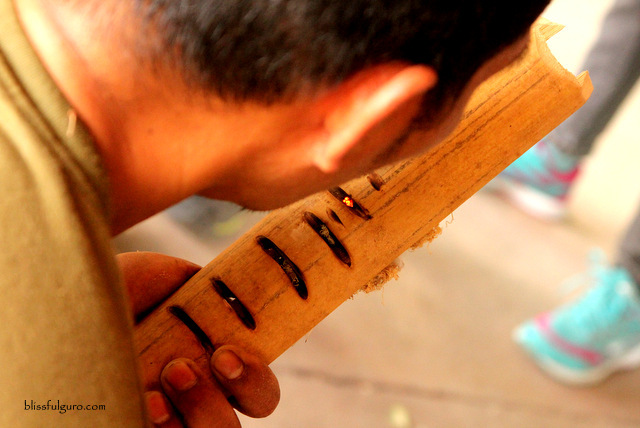 Being the most famous survival school in the country, JEST Camp offers everyone a chance to unleash their primitive survival instincts by teaching some indigenous skills in the jungle. And the most basic stuff was how to combat hunger in the jungle. 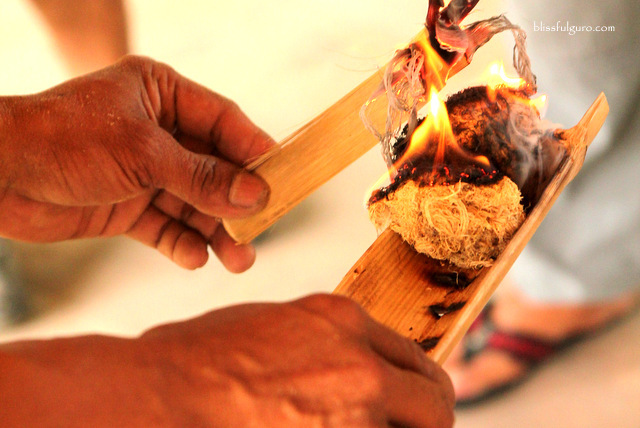 Bamboo utensils were crafted, water was extracted from water vines and fire was made from bamboo shavings. It was basically a travel back in time with our friendly instructor whose ancestors were full-blooded Aetas from Botolan, Zambales. 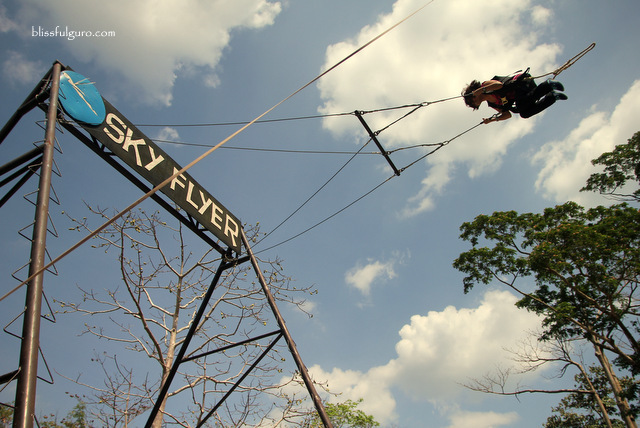 Next was the Sky Flyer that gave us some much needed high, literally. We had two options on riding the giant swing; sitting position and supine position (Superman style) – I decided to do both (yabang lang). The straps were hugging me tighter as I was being raised at 30 feet. It was high and I was ready to scream, the problem was, I didn’t know when to scream. Until the guy released the cord and I shouted as if I was being thrown from a huge cliff. It was pure adrenaline rush and I yearned for more. Again, the guys strapped me tight as I lie face down to be harnessed. I wasn’t scared at first but as the cord was raised and my body went into a diving position, I panicked. And suddenly, the cord was released and I screamed my head off as I plunged into the cliff. It was not a smooth ride but it was thrilling and gripping. It felt sooo good to let it all out, the screaming I mean. The guys were laughing as I went back to them. They haven’t heard me scream like that. Well, this is one of those rare chances that you’re freely allowed to scream so might as well do it eh? We were starving after the fun ride. The group then headed to Kawayan Kitchen for lunch. 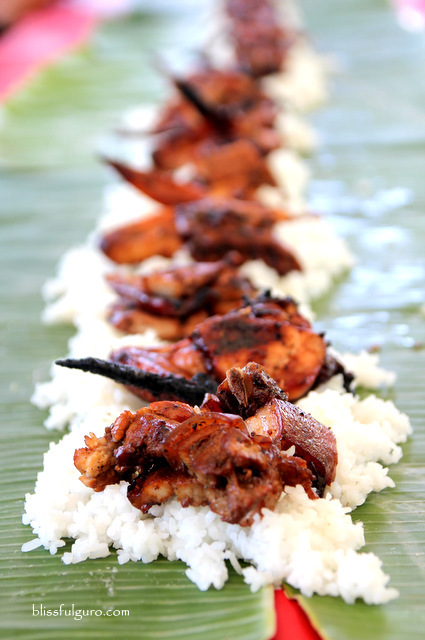 We had Inihaw na Liempo (185 Pesos), Grilled prawns (295 Pesos/250 grams), Sinampalukang Manok – Luto sa Buho (180 Pesos) and Kanin – Luto sa Buho (120 Pesos). 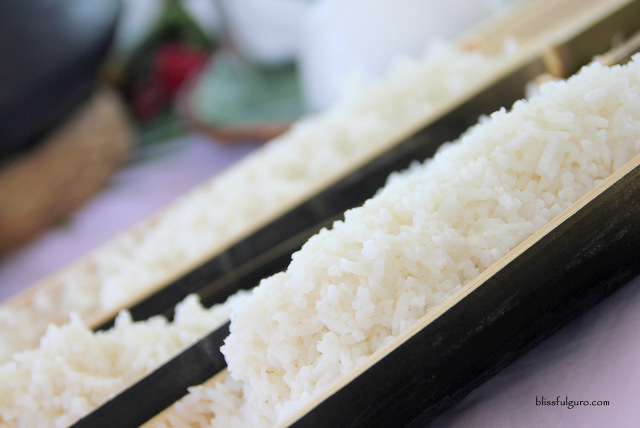 The food arrived in no time and they served the piping hot steamed rice and chicken stew on bamboo. Those were my favorites. 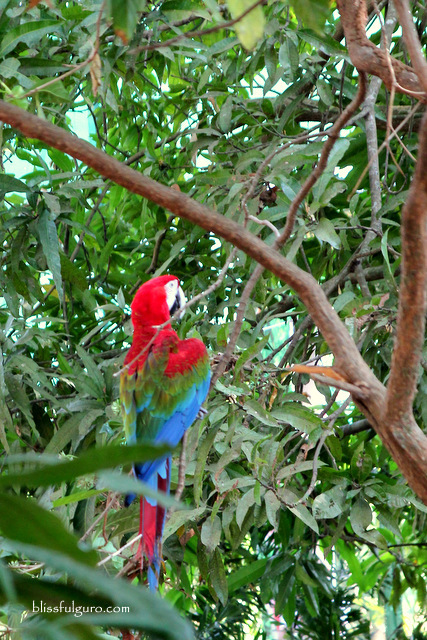 The main event that Saturday was the Wings of the World Bird Show at Magaul Bird Park. 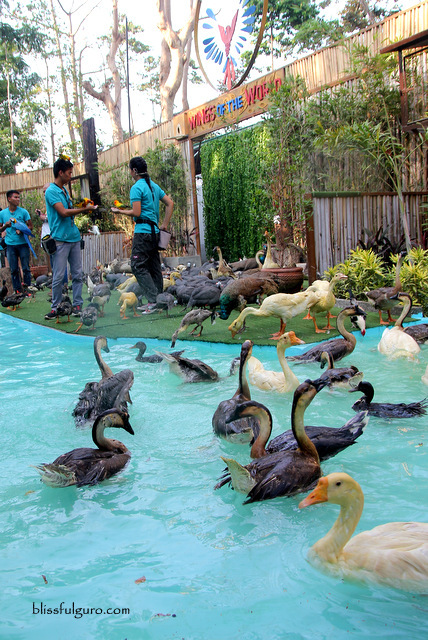 Produced by an all-Filipino team, it features the world’s first half-a-thousand birds show. As the show commenced, everyone gathered at the Winged Wonders outdoor theatre to witness this one-of-a-kind show. The theater was jam-packed with eager crowd and everyone seemed excited. The show not only features some foreign birds and native ones with their cute stunts but they also integrated nature awareness (I will not dwell much into the show for I don’t wanna spoil the fun). And the grand finale was spectacular. 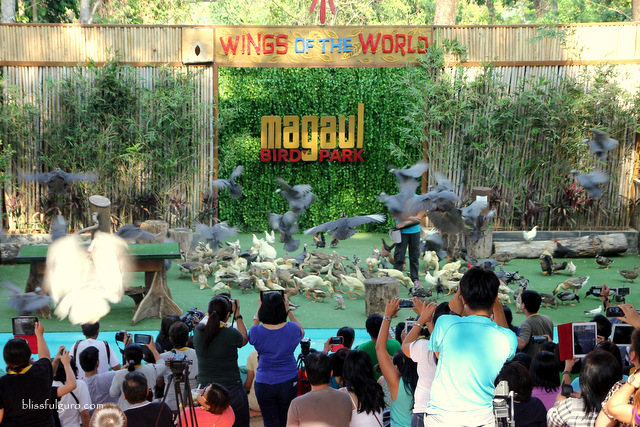 Hundreds of different species of birds were released and the whole theater was covered with these winged creatures. 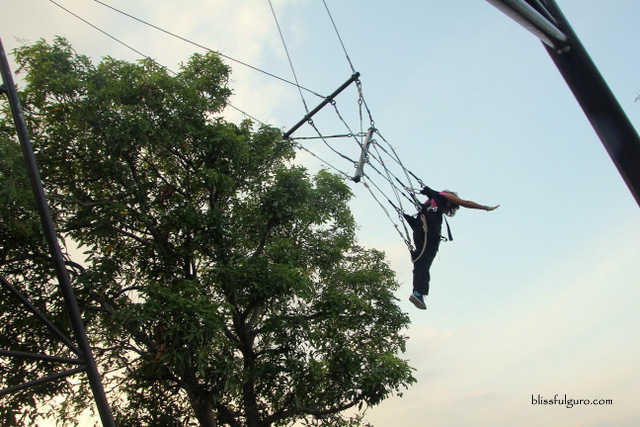 It was almost sundown when we arrived at the Aerial Adventure Walk area. I’ve seen and experienced this before at Sandbox and promised that I will not do it again – Why would I submit myself into such suffering? I was thinking out loud. But the group was so excited to try it out that I just found myself being harnessed by one of the staff. I was hypnotized by my buddies, I think. Then it was game on. 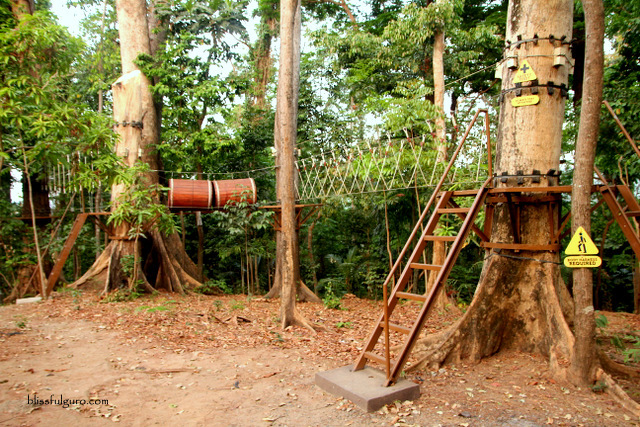 The objective if this challenge is to cross from one tree to another via ropes, bridges and platforms. 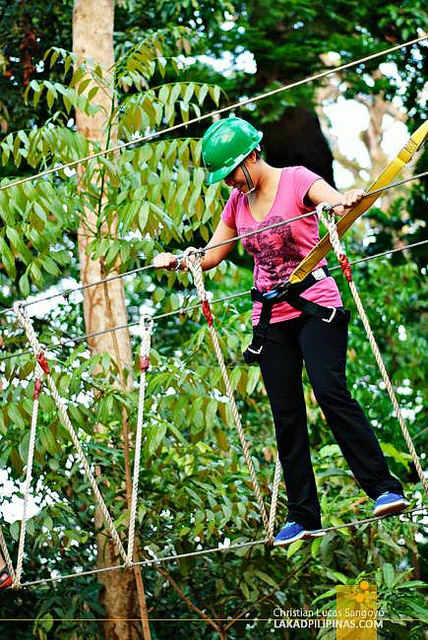 Don’t worry about falling off ‘coz you’ll be harnessed all throughout the course. 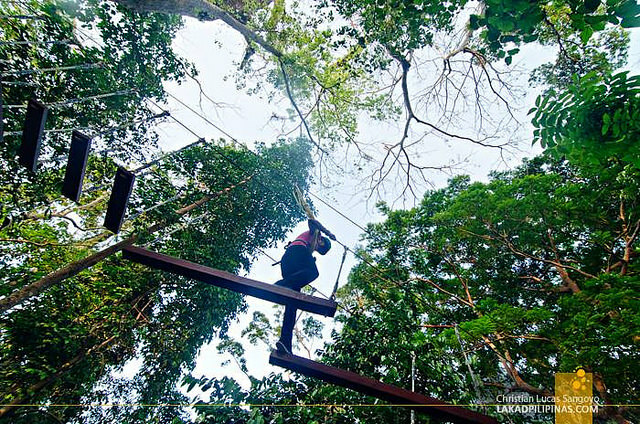 Inch by inch, I crossed the Burma Bridge, Barreling, Monkey Vines, Jacob’s Ladder and Cargo Net. My knees were shaking and my arms were immovable as I finished the course; and then the swing on zipline - the sweetest way to end everything. It was the perfect way to test your balance, flexibility and body coordination. Now I know why I’m doing these things. 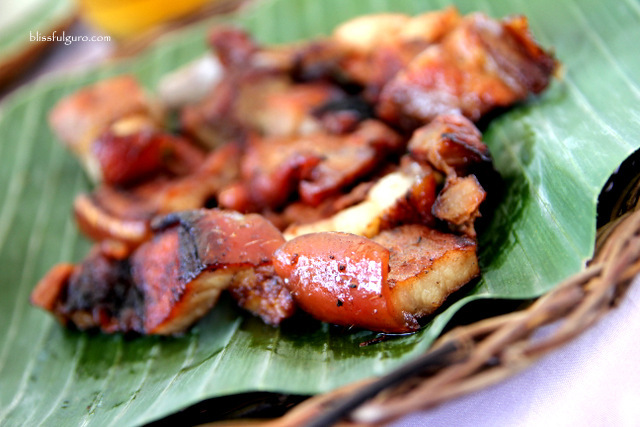 By dinnertime, the group was again nourished by Kawayan Kitchen. And then beer sessions followed as we surround into a huge bonfire; hotdogs and marshmallows were roasted. And then we realized that the world is celebrating Earth Hour that night, our bonfire was very timely. What's the difference between campfire and bonfire? Go google it! 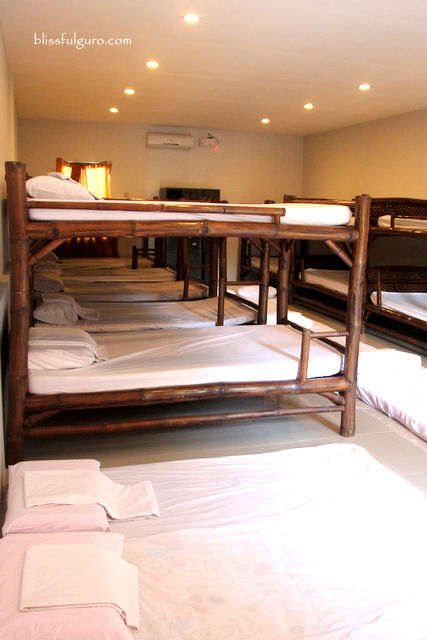 We retired at JEST Camp’s Dormitory which has 8 double deck beds and extra mattresses (check discounted rates here). 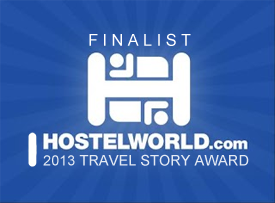 The room is also equipped with manually-powered air-conditioning system and en suite toilet and bath. We snoozed right away, a much needed sleep for the next day’s activities. Our call time was around 7:30 a.m. and I woke up a little bit early. 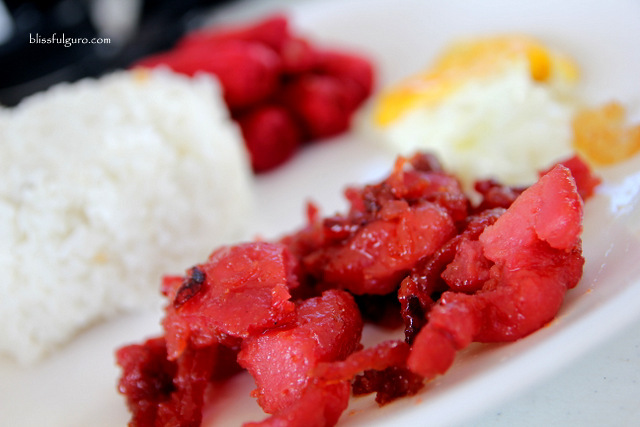 We headed to The Deck where we had a nice breakfast plate of Tocino, Fried egg, Hotdogs, fried rice and coffee. 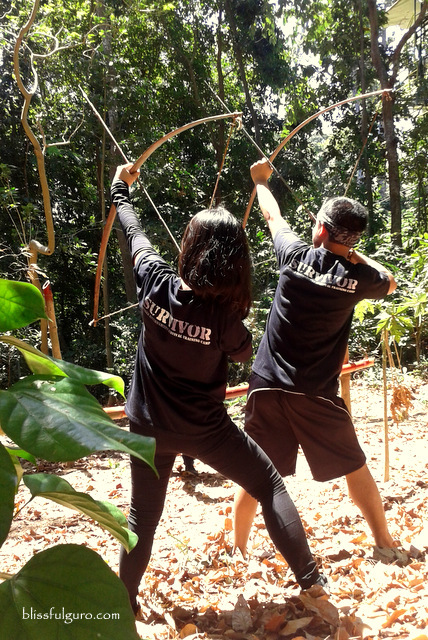 And then everyone was thrilled when the instructor announced that we’re heading to the most awaited part of this trip, the JEST Camp Hunger Games (adapted from the movie series Hunger Games). 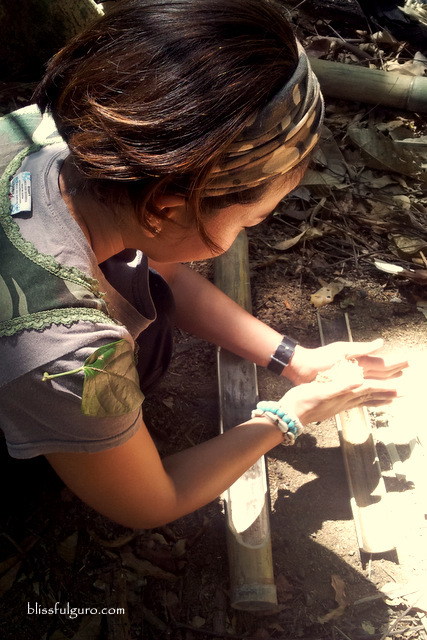 We spent the whole morning on different trainings that equipped us on surviving in the jungle for the games. There were four different stations (Fire Making, Shelter Building, Trap Setting and Archery) and in each station we have to accomplish some tasks. We had the vaguest idea on what was going to happen but judging from the promotional photos and videos, I’m sure we’re in for some action-packed afternoon. We were just instructed to wear nothing fancy, a good pair of shoes and some old bag (I used an eco bag). The briefing was simple; the participants must be 18 years of age (minimum) with no respiratory and heart conditions and the game doesn’t involve physical contact with the other participants. No information regarding the game was mentioned. We were totally clueless up to the last minute. 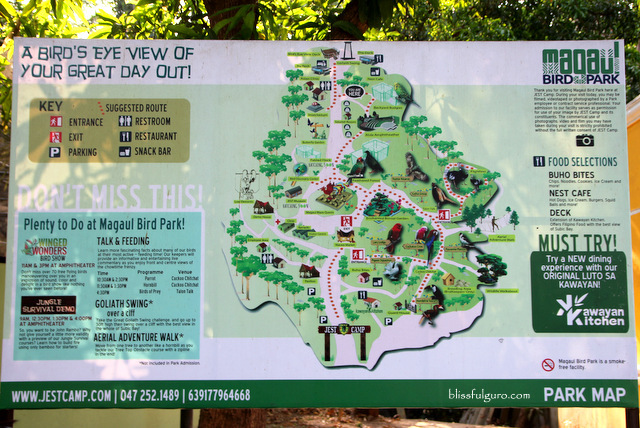 We were led to the Bird Park, blindfolded. And then the adventure began as we were transported into this secret place and all we could do was wonder as to what will happen next. Up until the last minute, no instructions were conveyed. We were the tributes representing our districts, I was District 9. We were standing on the logs. 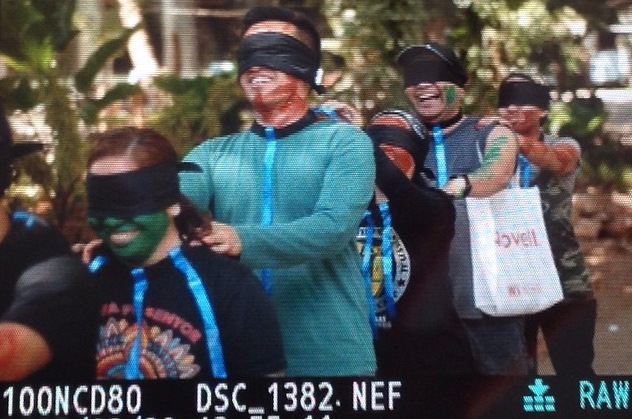 Blindfolds were removed. And then running. Water balloons and water guns. Thick forest. Hiding. Running. Shouting. Water splashing. Lives were taken. And then the fight. Struggling to survive. And then the whistle! The game ended and there were still four tributes alive, three guys and a gal - me. Another set of challenges. And then there were three left. And then two. And then the lone survivor. 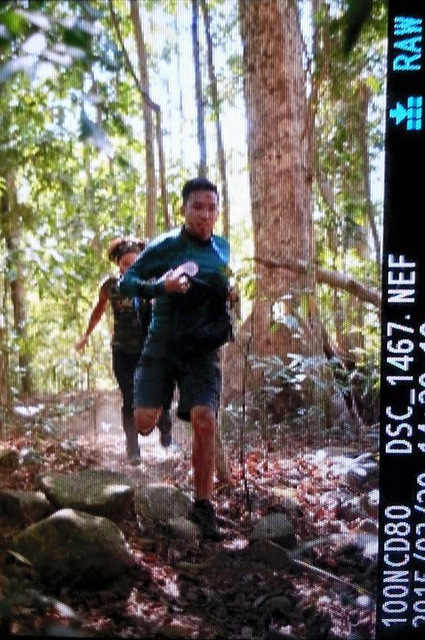 That was me chasing after Rodel - very intense! We hiked back to JEST Camp and chitchatted with the other participants as we waited for the results. We all agreed that this was one of the greatest bonding moments we had as a group. We’ve been traveling together for some time but this was the first time that we were so insanely involved in an activity which proves to be a test of friendship. Luckily, no cat fight prospered after it, we just laughed about the damages brought by some of my buddies. 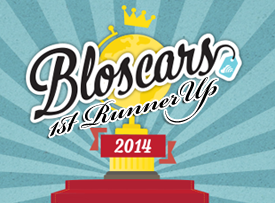 Apparently, the early activities were included in the overall tally of the scores. The fun discussions ended as our instructor went back with the results. I was yelling the name of the one I was rooting for when my name was called. Yes, I was the crowned victor of the 5th JEST Camp Hunger Games and I will represent District 9 on the annual games (Quarter Quell - very Hunger Games) which will happen later this year. Shocked, dazed and confused, I accepted my certificate as they pinned me my JEST pin. And then it dawned on me that I won, yes, me. It was such a surprise for I’m really not the competitive type. I guess it’s my tenacity to not give up, to push harder without thinking about the rewards and just keep moving forward no matter what. That kept me alive and will keep me alive. 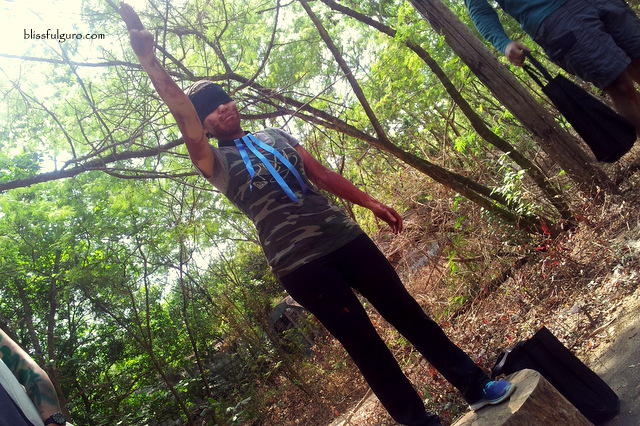 The fun weekend concluded with contemplation of survival; this boot camp somehow taught each one of us the value of life – the struggles and challenges that we needed to combat to stay alive and live the life we yearn for. 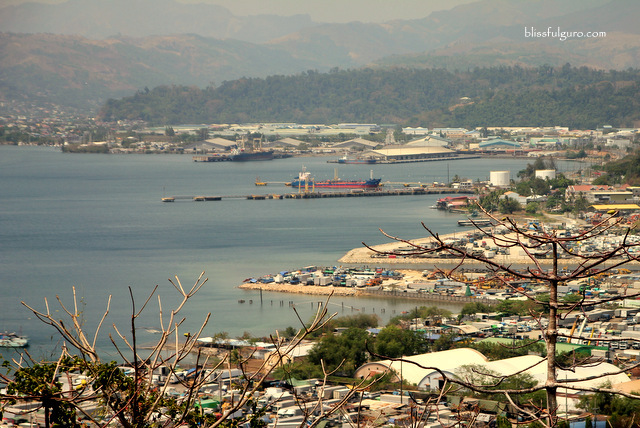 And we’re coming back at JEST Camp Subic for another round of harder challenges, the Hunter-Gatherer Overnight Jungle Survival Training perhaps? Show Schedules: Weekends and Public Holidays – 11:00 a.m. | 1:30 p.m. | 4:00 p.m. 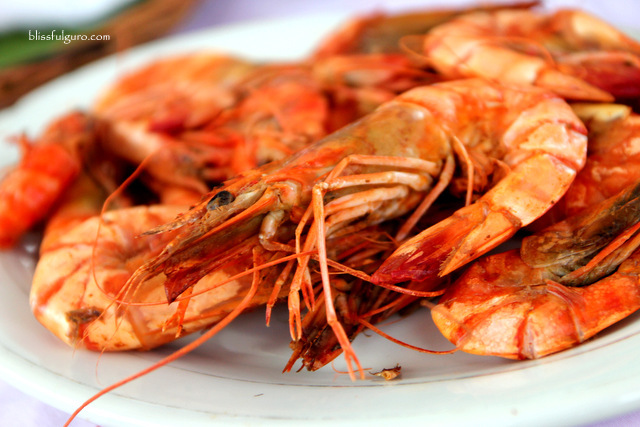 Weekdays – 11:00 a.m. | 1:30 p.m.
Great photos. Great article. Great adventure! Ingit much po talaga. Mabuhay! Hi! Could you tell us more about the JEST Hunger Games?